If you’re planning a visit to Cognac (and, we have to say, we really recommend it), then it goes without saying that you’re going to want to visit a Cognac house or two. Seeing first hand exactly how the amber nectar is created, aged, and stored before it becomes the bottles we see on the shelves is a truly fascinating experience. In addition, with most Cognac houses having been around for hundreds of years, it’s a fascinating insight into the history of the region. And, naturally, you’ll be able to enjoy the sublime experience of tasting some great Cognacs. But which house should you choose to visit? This can certainly present a quandary, as there are over 300 Cognac Houses, close to 600 direct vendors and a few co-operatives – so there’s no shortage to choose from. Should you pay for a visit? Or would one of the smaller, independent producers who don’t charge be preferable? You may well have your favorite brand/s, and then it would make sense to visit that house. But if you’re not yet sure, then the following list might well help you make up your mind as to which ones deserve a few hours of your time. In addition, tough as it might’ve been to do, we also report on the favorite Cognac we’ve tasted from each house in the list. Let’s first take a look at some of the houses that are free to visit, followed by ones that make a charge (and, in our humble opinion, whether we consider the fee to be worth it or not). The following houses all welcome visitors for a free visit. Some also include a tour, and most will provide a tasting of one or two of their Cognacs. The house of Andre Petit is something very special. This small, intimate Cognac house is somewhat unique in many ways. The first is that they still harvest the vines in the ways of their forefathers – by hand. And we have to say that no-one should ever underestimate how difficult this is, because it truly is backbreaking work. And the second? 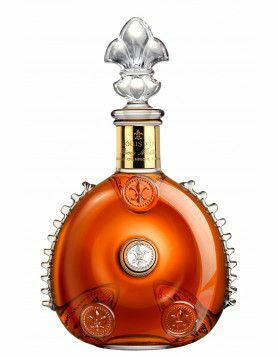 Well, they made Cognac history when, in the 1960s, they terminated their contract to provide eaux-de-vie for the Cognac giant, Hennessy, instead announcing their wish to produce their own creations. Located in Berneuil, the owner, Jacques Petit, will be delighted to show you around his estate, which is rightly, his pride and joy. The house is open for visits all year round, from Monday to Saturday, 08:00-12:30 and 13:30-18:00. Be sure to contact the house before visiting, just to make sure there’s someone there to greet you. 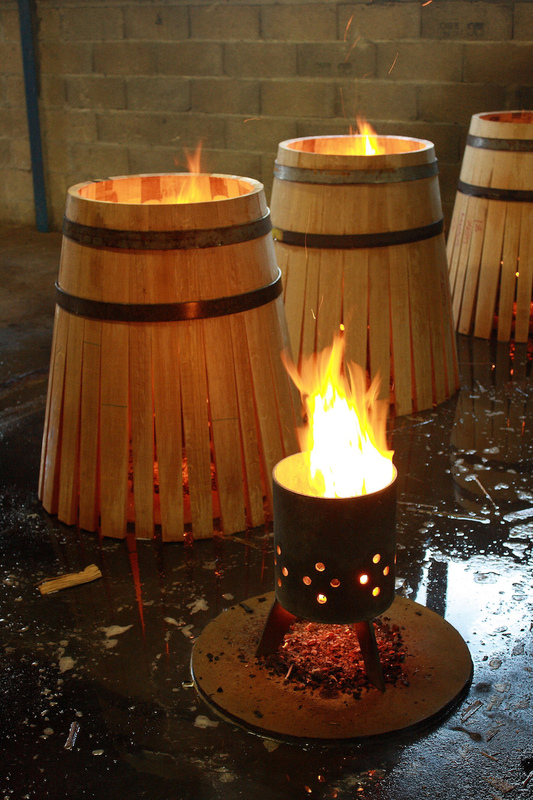 Expect a personal tour, Cognac tasting, and information about the process from distillation through to the glass. 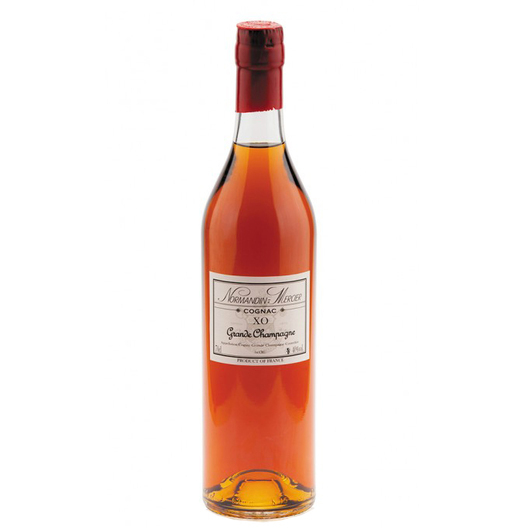 Our favorite Cognac from this brand is André Petit Hors d’Age Réserve Familiale. Just unbelievable. The artisan house of Bertrand Cognac is located in Reaux, in the heart of the Petite Champagne terroir. By the standards of many other producers, this is a small Cognac house – but it’s this that makes it so special to visit. 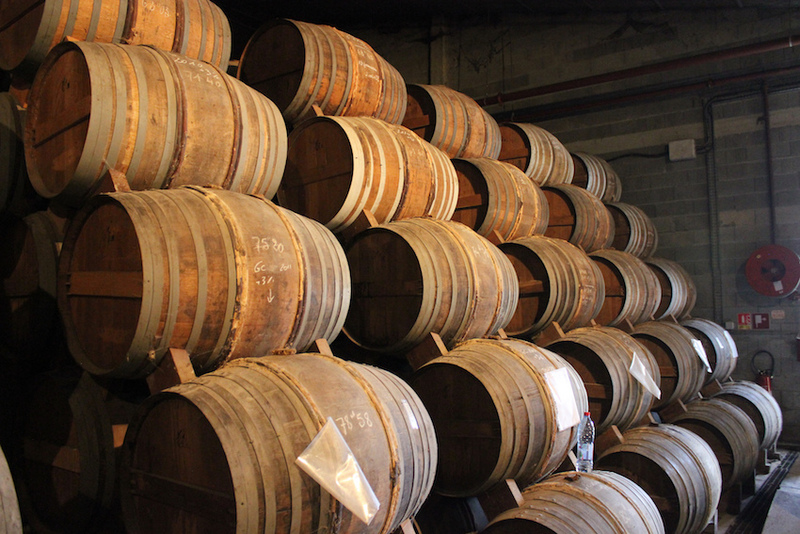 Affiliated to the Charter of Vigneron Indépendant (Independent Vineyards), they carry out every aspect of their Cognac production in-house – making for a truly fascinating visit. You’re welcome to visit at any time between May 01-August 31, Monday to Thursday from 15:00-19:00. If you come at this time there’s no need to call ahead. Visits are possible on Friday and Saturday, but for these you must make an appointment. The same applies if you’d like to visit outside of the May-August period. Expect to see the cellars, distillery, and the tasting rooms. And of course, they’ll be a chance to taste some Cognac, and to purchase bottles from their small, but excellent quality range. 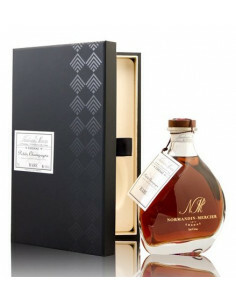 Our favorite Cognac from this brand is Bertrand Napoleon. Based in Segonzac, in the heart of Grande Champagne, is the small house of J. Painturaud Cognac. The first thing you’ll discover on a visit here is that everything to do with the estate and the business is about family and tradition. And it’s this that makes a visit to such a small house so very special. You’ll likely be met by a family member – and this could be one of the two guys who head the house today, either Jean Phillipe or Emmanuel. J. Painturaud welcomes visitors year round, from Monday to Saturday, 09:00-12:00 and 14:00-19:00. In the summer time, you can also visit during these hours on a Sunday as well. Now, while they don’t actually specify that you need to make an appointment, it would be advisable (and courteous) to let them know that you’re coming. Discover more at J Painturaud Cognac. A visit to Chateau de la Peraudier, the home of J. Normandin Mercier Cognac, will undoubtedly be the highlight of any visit to the region. This family run estate knows exactly how to make visitors feel welcome – and you’ll be treated to a little slice of Cognac history. 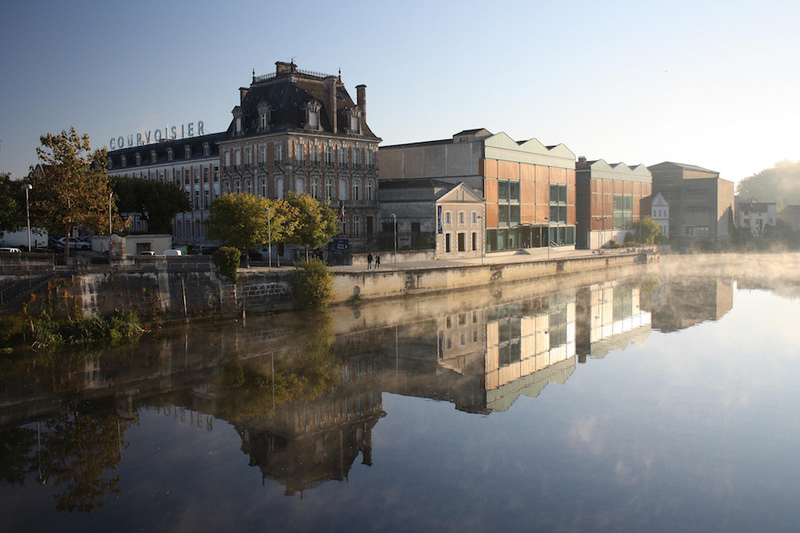 A visit here will introduce you to all the intricacies of Cognac production. From distilling through to aging, blending through to bottling – you’ll discover it all. 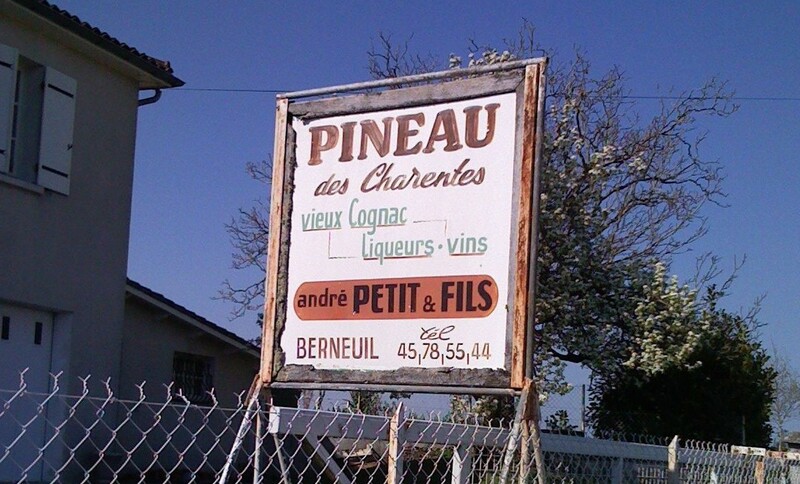 And of course, your visit will end with a Cognac and Pineau tasting session. You’re welcome to visit any day, year round, from 09:00-11:00 and 14:00 to 17:00. It is advisable to get in contact before you arrive, to ensure there’s someone to take you on a tour. If you wish to visit as a group then it’s essential to book (and there’s a cost in this case, of 4 euros per head). 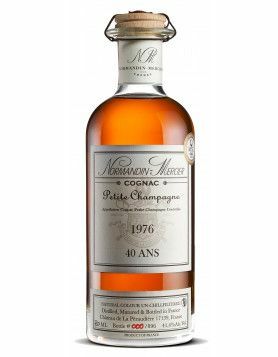 Our favorite Cognac is their Normandin Mercier Grande Champagne XO. You’re sure of a warm welcome at the house of Michel Forgeron – and if you have an RV, you can even stay the night! Tours here last between an hour to an hour and a half, and you’ll be made privy to many of their Cognac-making secrets – from the grape to the glass. Whether you arrive alone or in company, you’ll be treated to a wonderful voyage of discovery. And at the end of the tour, you’ll get the chance to sample some of the house’s Grande Champagne Cognacs, and their Pineau des Charentes. You can visit year round from Monday to Saturday, from 09:00-18:00, and most Sunday mornings from 09:00 to 12:00. Be sure to book your visit in advance. Our favorite Michel Forgeron Cognac is Vieille Réserve Grande Champagne. 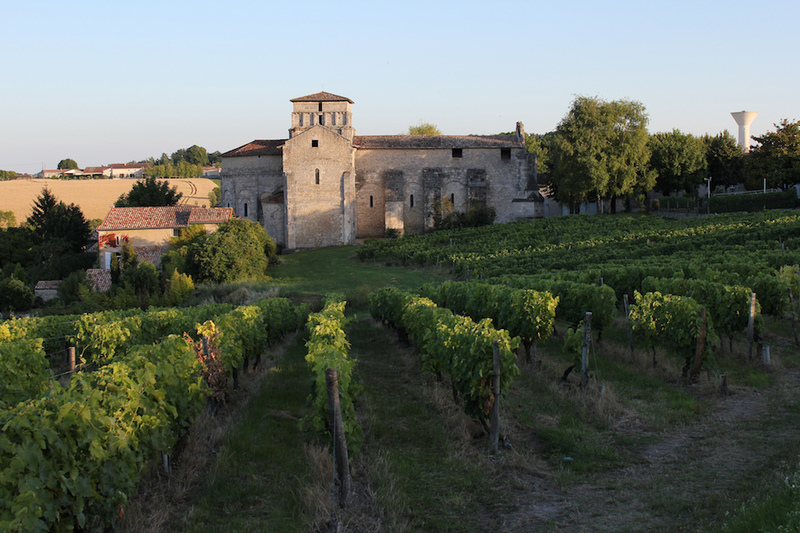 The following Cognac houses welcome visitors for organized tours, for which there is a charge. The cost varies, depending on the level of tour chosen, and grades of Cognac that are included to be tasted. The granddaddy of them all, Hennessy Cognac, is – for many – a must-visit location. And with good reason. The chateau itself is awe-inspiring, the cellars are thick with history, and it really is a tour that will enthrall visitors of all ages. There are many different levels of tour on offer – all in a choice of languages, including Chinese. From the 90 minute, Hennessy Signature tour (cost, 18 euros and tasting the VS and VSOP Cognacs), through to the Hennessy a la Carte tour (cost 120 euros, with your own group, visiting the Paradis Cellar, taste different age Cognacs, and discover the art of blending – taking from a half to a full day), you can decide on your own level of immersion into the world of Hennessy. Whichever tour you take, you’ll be treated to a boat trip, a visit to the Pavillions Cellar, and of course, an authentic Cognac tasting experience. Our favorite Cognac of this popular brand is the ageless Hennessy X.O. Visiting Meukow is a real sensory experience. And, we have to say, although you pay, it’s very reasonably priced. The brains behind the brand are excellent at promotion, and Meukow is becoming more and more known on a global scale as each year passes. After all, who could now fail to recognize the leaping panther that’s become synonymous with its name? The tour of Mekuow lasts around 45 minutes, and includes an ‘innovative and modern visual effects’ experience that allows you to discover the history of the house and the Meukow cellars. And the tour ends with a tasting of three of their delightful Cognacs. If you wish, at the end of the tour you can dine in their restaurant – the Chai Meukow – where the chefs specialize in creating Cognac based recipes. You can visit any time from 01 May to 30 September, Monday to Saturday, 10:00-17:00. In winter (01 October to 30 April), visiting times are Monday to Thursday, 10:00-12:00 and 13:30-16:00, and on Fridays, 10:00-11:00. All visits need to be booked in advance. The cost of a visit (to include 3 Cognac tastings) is 10 euros per person (there are concessions for those under 18 years of age). A meal in the restaurant, if required, is 28.50 euros and must be booked in advance. 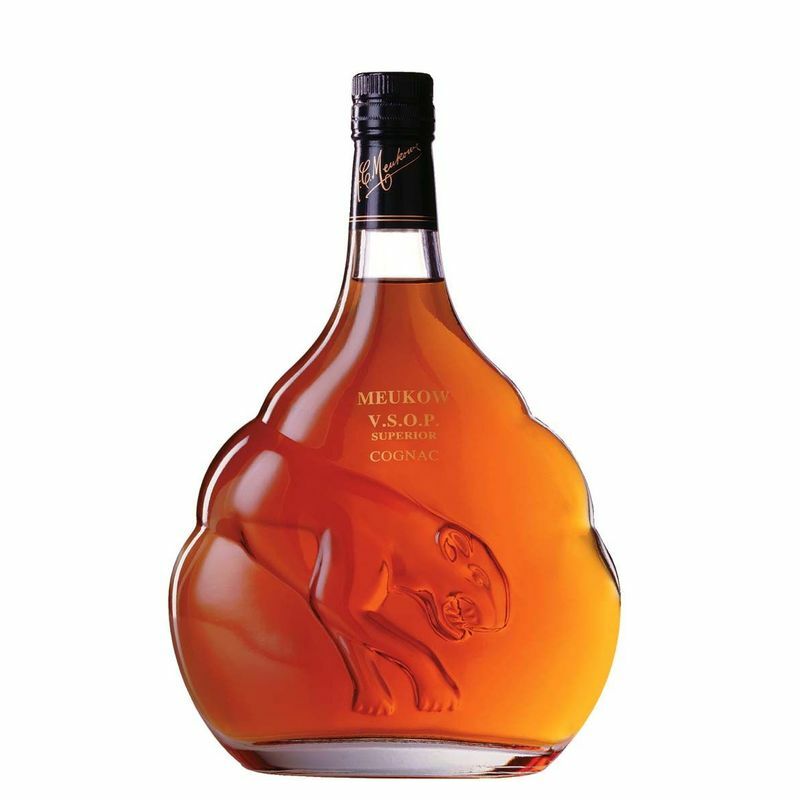 Our favorite Cognac here is Meukow VSOP. 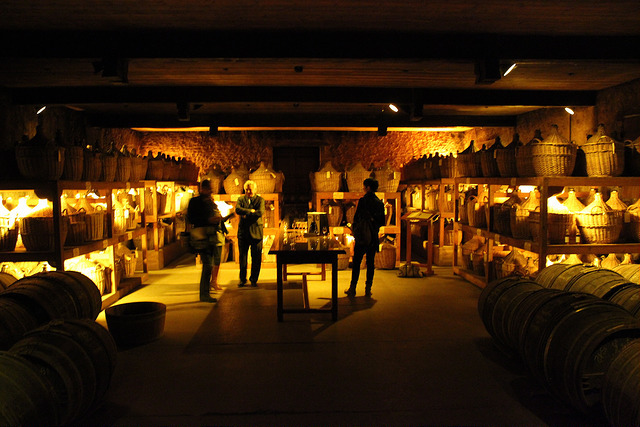 One of the largest of all the Cognac houses, a visit to the HQ of Remy Martin is a wonderfully immersive experience. The estate probably has the widest amount of different tours available of all of the Cognac houses. There are 15 unique tours to chose from, of varying lengths, meaning that even the most time-pressed person can manage to squeeze a tour into even the busiest of itineraries. Some examples of the tours on offer include the 90 minute, Discover the Estate by Train (20 euros per person), the hour long, Snapshot of Remy Martin (20 euros per person), the 3 hour, Essential Tour (to include tasting of three Cognacs with gourmet accompaniments), a lunch food-pairing program, cocktail program, and even a tour that allows you the opportunity to taste the legendary Louis XIII Cognac – perhaps the most famous of all Cognacs ever produced. Our favorite Cognac tasted here is Rémy Martin XO Excellence. Tours are available all year round, although some only run through the summer months. Booking is highly advised and, for some of the bespoke tours, is essential. 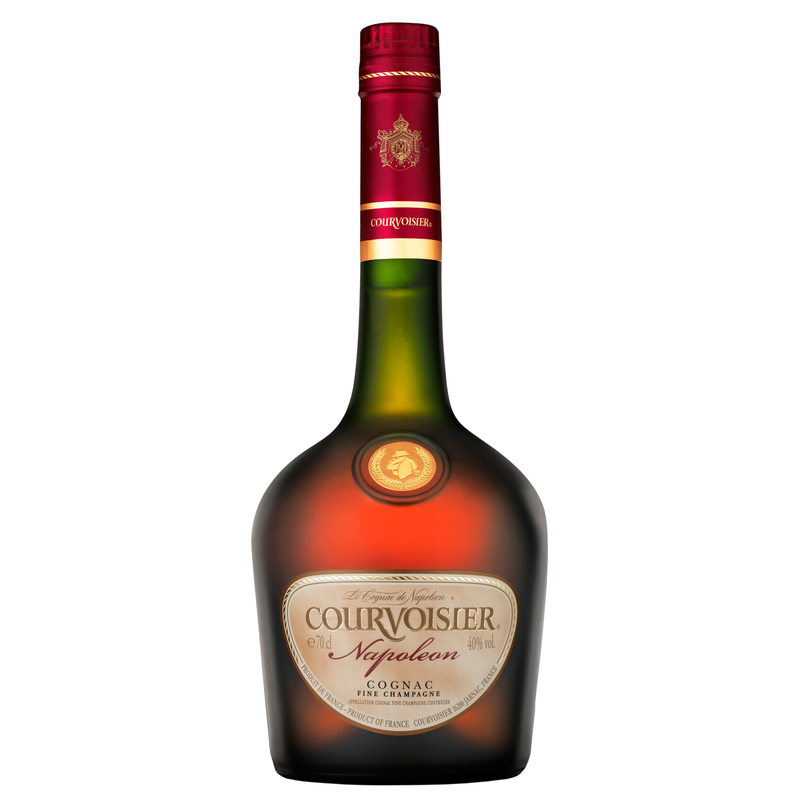 One of the world’s most famous names, Courvoisier Cognac, this star of many hip hop recordings will be high on the list for many to visit. Here you can choose from 4 different tours, each delightfully affordable (starting at 12 euros per person), and ranging from 20 minutes to 2 hours 30 mins in length. We have to say, Courvoisier might well be one of the giants of the industry, but they manage to keep a personal feeling to their premises. Their Classic Tour includes tasting of 2 different Cognacs, and you can further personalize your experience by deciding which to taste. Choose from a VS/VSOP combination, a VSOP Exclusif/Napoleon combo, or and XO/Initiale Extra with food pairing experience. The Premium Tour includes a sensory tasting experience, as well as a tour of the Paradis Cellar. Our favorite Courvoisier Cognac we’ve tasted is the Courvoisier Napoléon Fine Champagne. Tours are available year round, although more are run during the summer months (May to October, 09:00-17:30). Booking, especially during the winter months, is essential. Last, but certainly not least, in our list, is the final member of the hallowed ‘big 4’ Cognac houses. Martell have not gone down the razzmatazz tour path that its fellow large producers have. Instead, they offer a tour that, in their words, takes you on ‘a journey from vineyard to glass’. In the company of an expert guide, discover every step of how Martell creates its Cognacs, ending with a tasting for those over 18 years of age. 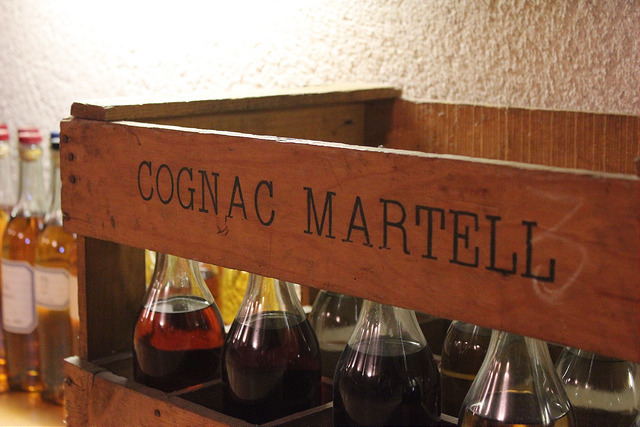 Of course, you can also visit the Martell shop and purchase Cognacs of your choice. Our favorite Martell Cognac has to be Martell Cordon Bleu Extra Old. That completes our top 10 list. It’s been a tough decision deciding which houses made it there and which to leave out. But just because we didn’t include many (many!) producers, don’t make the mistake of thinking that the others aren’t worth visiting. Because nothing could be further from the truth. So, do we think that the free visits are better than the paid ones? Well, that all depends on what it is you want to get from your experience. The paid visits – especially from the larger Cognac houses, are certainly polished – they’ll give you exactly what they promise, and you can be sure they’ll run like clockwork. For many, being able to step on the hallowed grounds of an estate such as Hennessy will be a dream come true. However, if you crave the experience of Cognac production as it was back in the 18th and 19th century, and you prefer something a little more personal, then visiting one of the smaller houses might well hit the spot. Sure, you won’t get the bells and whistles, but what you will get is the personal attention of those who work the land for their living, and be able to bask in their true passion and love for what it is that they do. 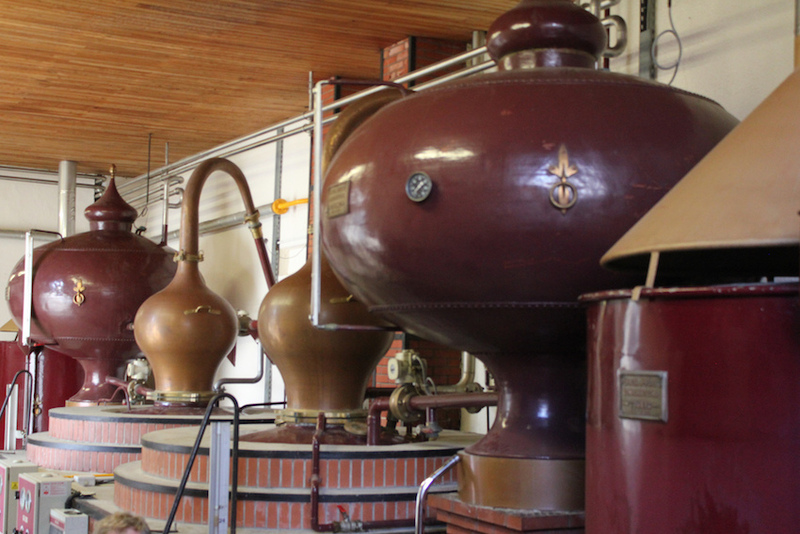 Personally, we love the individual touch you get from visiting the small, free Cognac producers. And, of course, you’re hardly likely to walk away without at least a small purchase, so you’ll know that you’re putting money back into the local economy. Also, here are a few other producers of note who offer great tours and visits. Fantastic blog post and one that my wife and I wished existed before our last visit to the Cognac region in 2013. Luckily for us, the guesthouse we stayed at (right next to Daniel Bouju) insisted that we visit both small and large Cognac houses. Our very first visit was to Forgeron and like many of the small family owned houses we spent time at the experience was intimate, informative and something special knowing we were talking with the people who were involved in every step of the Cognac they served us. Different but even still, the big house visits we made were nonetheless special. For example, a Remy Martin after a lengthy tour we were ushered into a private tasting room and treated to a range of Cognacs paired with gourmet treats prepared by a chef hiding in a nearby kitchen. How we miss Cognac! Thanks again for this wonderful post! Touring the vineyard at the discovery of craft distilleries away from beaten path, plus driving and drinking may be considered adventurous. This list is nice but much too little. I would advice Paul Giraud, château Montifaud, François Giboin and specialy Château de Beaulon, etc, etc. It is good to visit the big houses because the tour are welldone and you can understand a lot in 1 hour when you are a beginner. If you got a better level it is better to go and see littles houses, you have better chance to meet people who do the job, not people who repeat a texte like a machin. Thank you Christophe, this is some really valuable information for our readers coming straight from a specialist! Some personal favourites from the Fin Bois to add to your list of smaller independent producers. All close to the town of Matha. Cabel in Le Breuil, Sonnac. A fabulous value for money over 30 year old ‘vieille réserve’ cognac. Boutinet, Le Brissoneau, Breville. A brilliant range of some of the most refined cognacs from this very personable producer, Bernard Boutinet. Balluet, Neuvicq-le-Chateau. Never a dull moment here. Jean Balluet produces an excellent 25 year old, and a 40-45 year old. And one from Borderies – Michel Tallon, Malbeteau, Burie. A wonderful ‘vieille réserve’, one of our favourites. Finally from Grande Champagne – Raison Personnelle, a beautifully made XO from Sabine & Bertrand de Witasse. One of the remaining few whose alambics are still fired by wood. All these cognacs differ in style, but if looking for a small(er) producer where you will get the personal touch, any of these are worth visiting. Always phone first to see whether a) someone will be there, b) a visit is convenient (it almost always is).